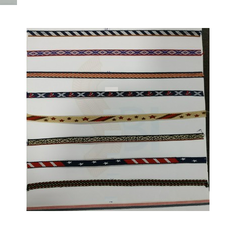 These Jacquard Tapes find a wide application in garment industry, lace and tassels cords and garments accessories. Our range of these products are manufactured in a best way that provides beautiful designs, exciting look and with superior quality, which gives a different look and strength with a fine and unique printability. 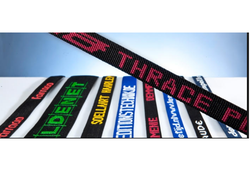 Our jacquard tapes, which meet the demands of high performance areas. These tapes are uniquely designed and constructed for high durability, strength and printability. Specially designed to cater to the industrial and customers use we provide exclusive range of curtain tapes. These can be customised as per customers details. They come in different varieties like Nylon curtain tapes, Polyester curtain tapes, Jacquard curtain tapes, Multi colour curtain tapes etc.